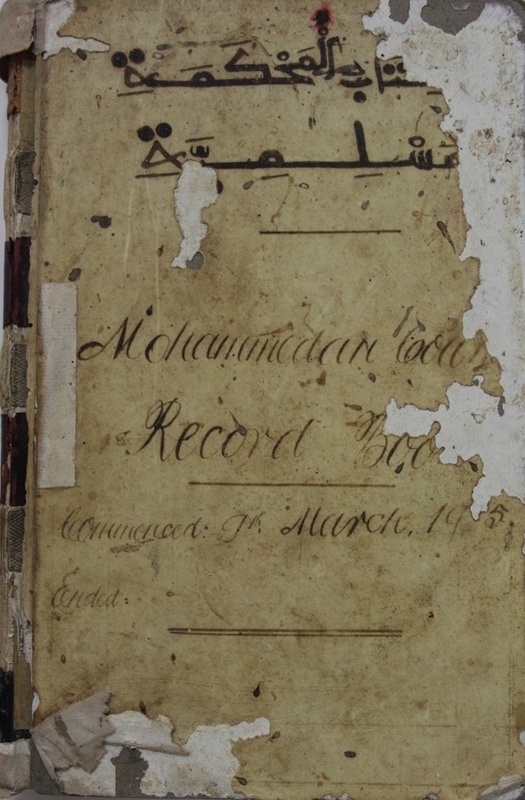 In essence, the manner in which the court records were produced and kept illustrate how the British colonial officials and African Muslims, hired as British civil servants, were able to create a new institution of law in Banjul by combining pre-colonial Gambian and Islamic laws with European legal traditions. 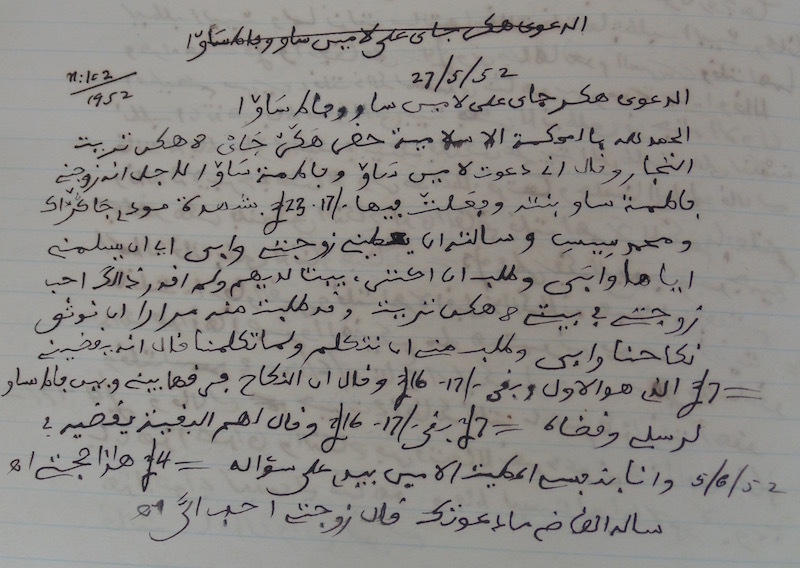 British officials’ insisted that all Muslim court testimonies be recorded in writing. 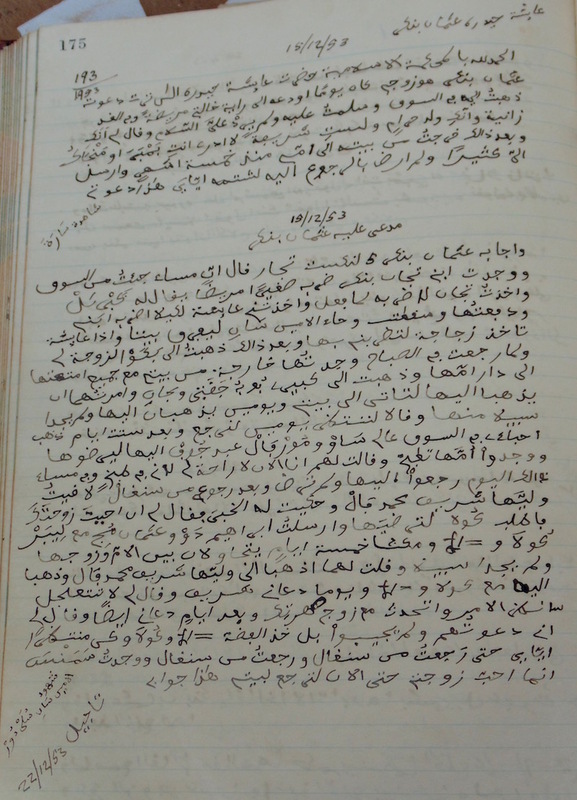 Since these courts were founded around sharia law, the language of the court was Arabic. 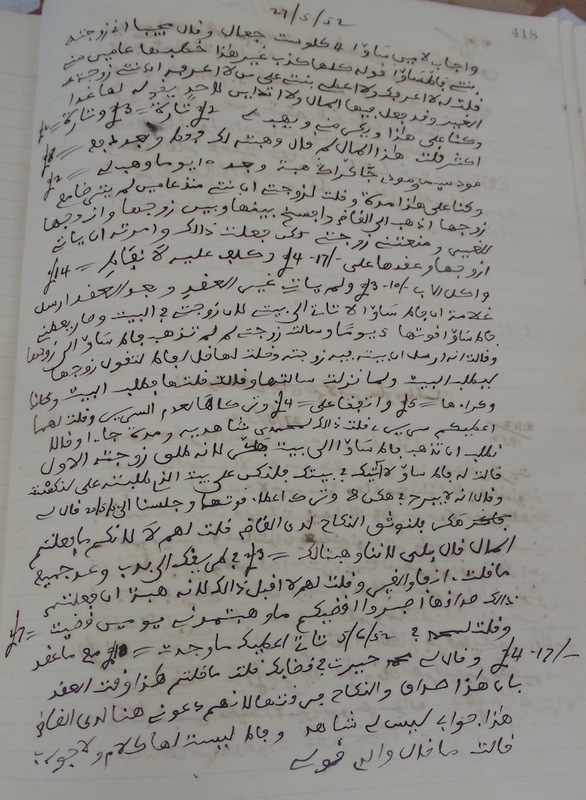 Thus documentation of court proceedings occurred first in Arabic and were then translated into English. 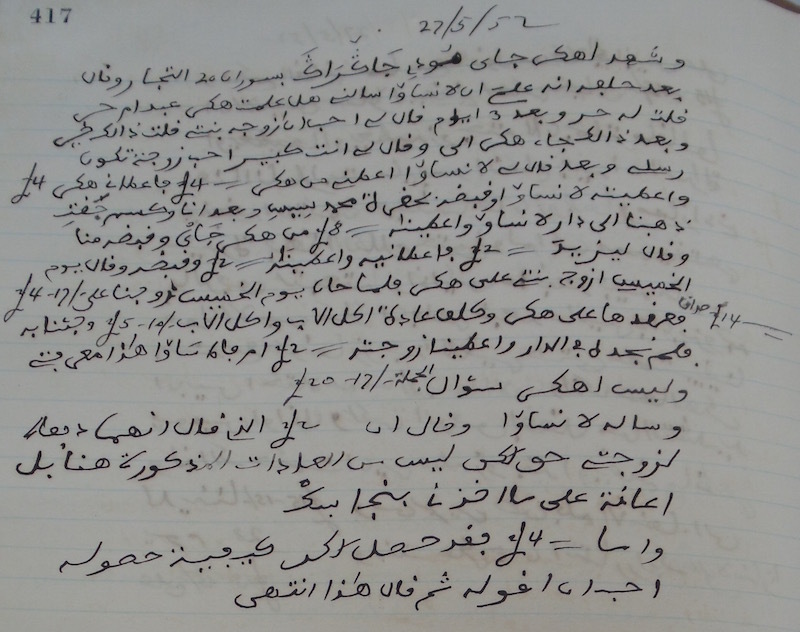 From 1905 until the outbreak of the Second World War all court testimonies were meticulously recorded in Arabic and translated into English. 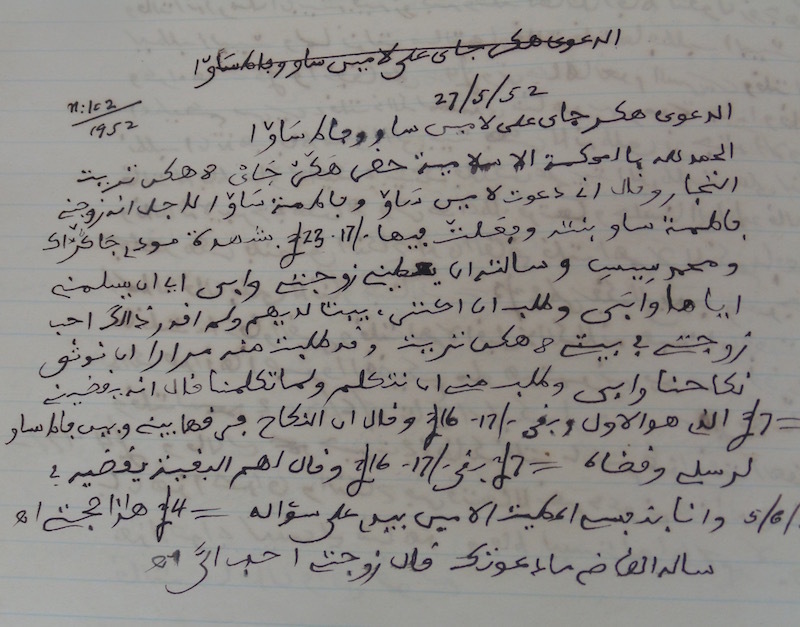 Sometimes depositions were conducted in a local Gambian language, like Mandinka or Wolof, and recorded in ajami Mandinka or ajami Wolof. 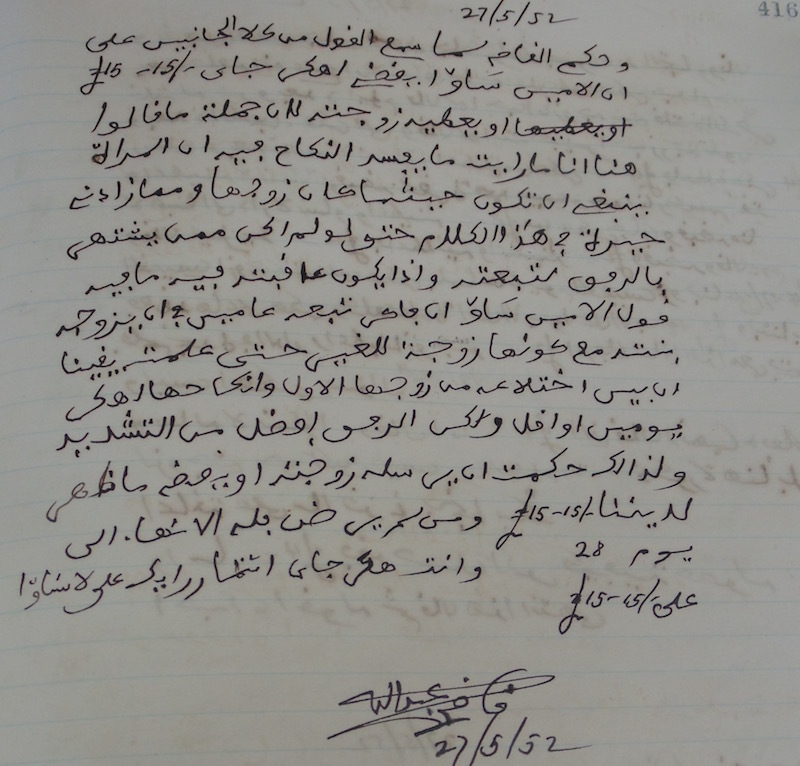 All court cases were recorded by hand, translated into English, and then all written documents pertaining to a case were filed together in a colonial building.